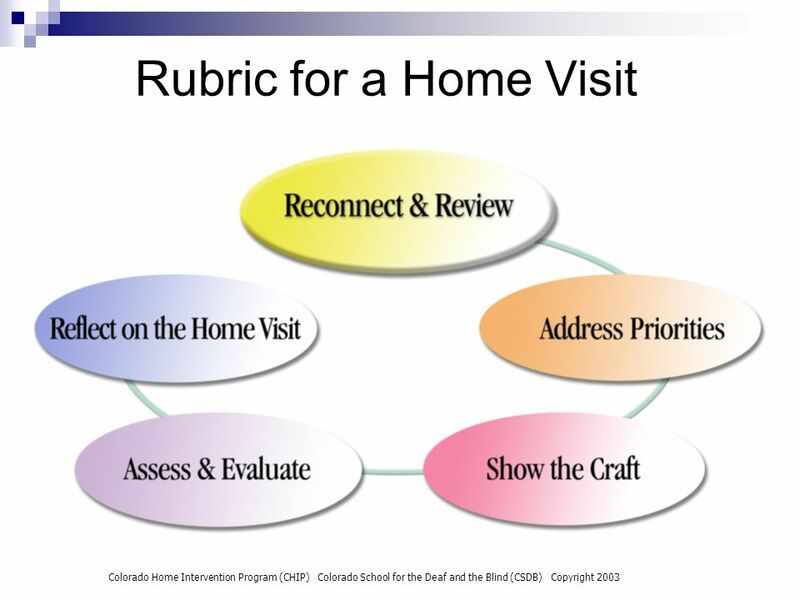 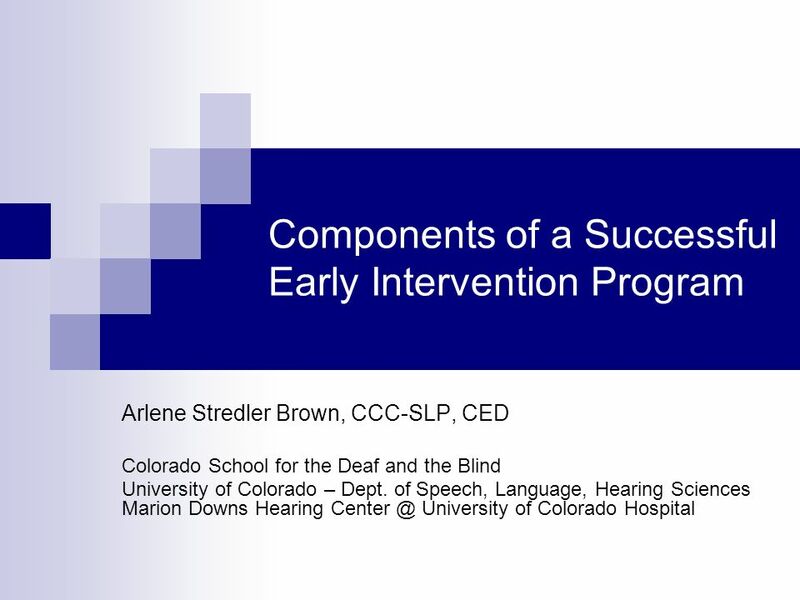 Components of a Successful Early Intervention Program Arlene Stredler Brown, CCC-SLP, CED Colorado School for the Deaf and the Blind University of Colorado. 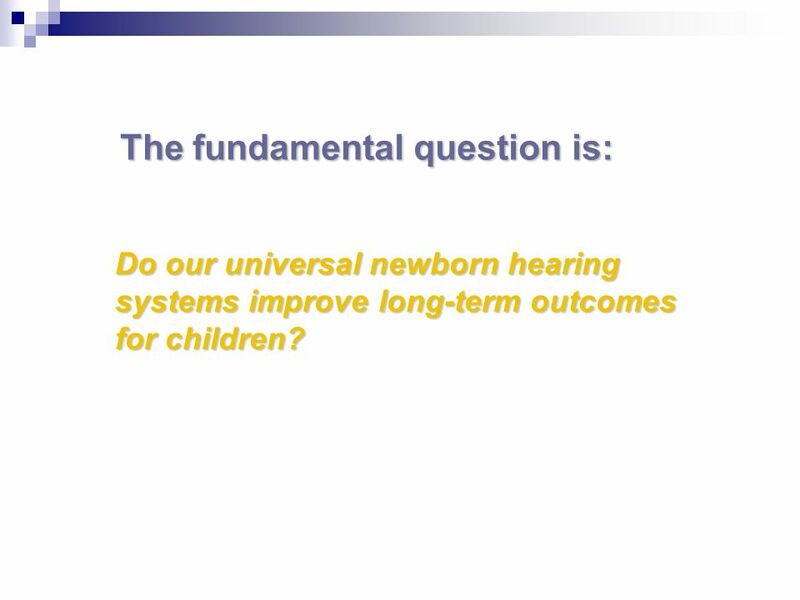 2 The fundamental question is: Do our universal newborn hearing systems improve long-term outcomes for children? 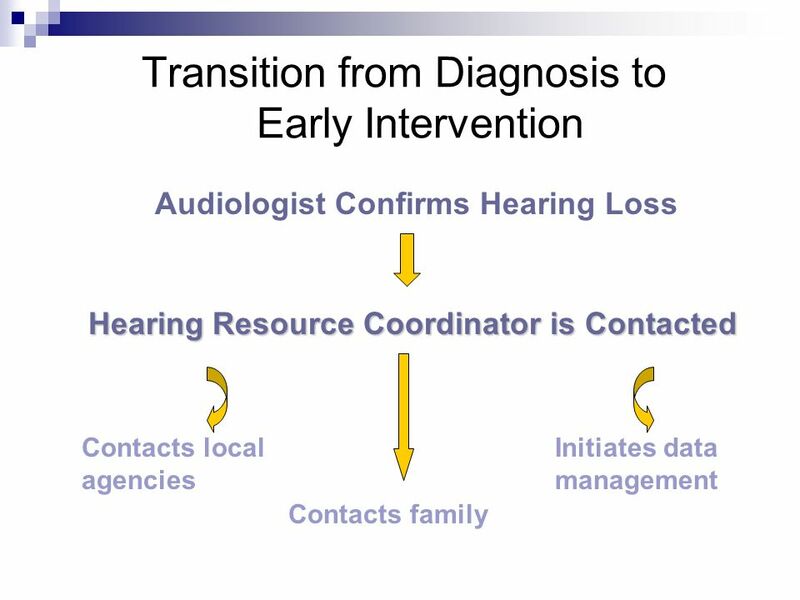 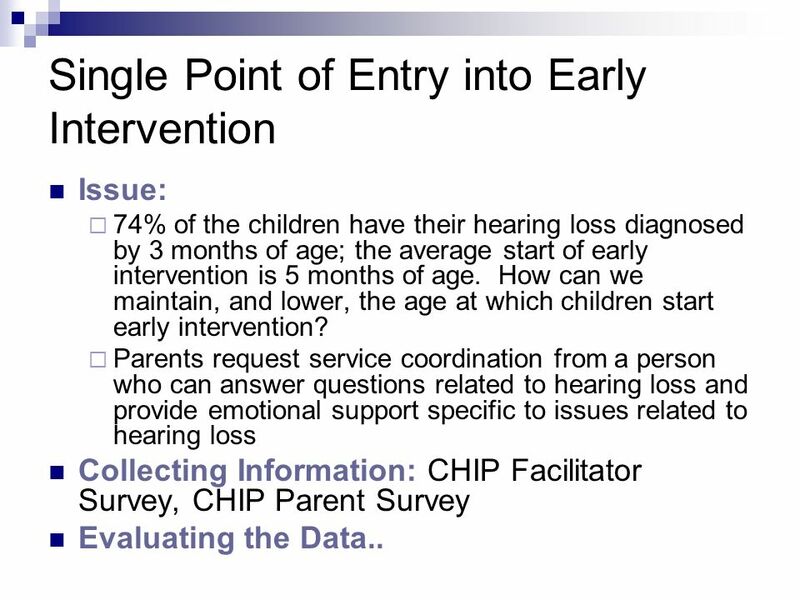 7 Single Point of Entry into Early Intervention Issue: 74% of the children have their hearing loss diagnosed by 3 months of age; the average start of early intervention is 5 months of age. 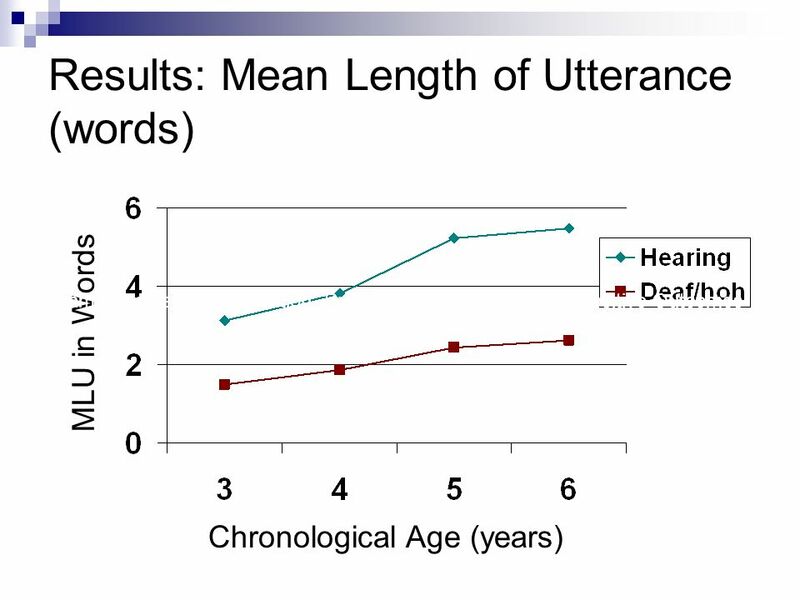 How can we maintain, and lower, the age at which children start early intervention? 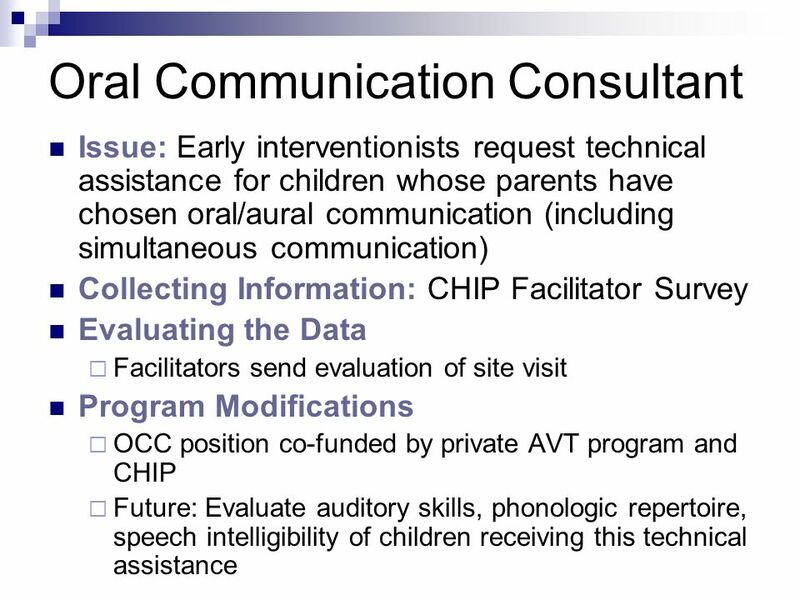 Parents request service coordination from a person who can answer questions related to hearing loss and provide emotional support specific to issues related to hearing loss Collecting Information: CHIP Facilitator Survey, CHIP Parent Survey Evaluating the Data..
18 Parent Participation Program Modifications Support family-centered intervention strategies Hire and train sign language instructors Assure access to parent-to-parent connections (Families for Hands & Voices) Information Support Leadership Train D/HH role models..
Download ppt "Components of a Successful Early Intervention Program Arlene Stredler Brown, CCC-SLP, CED Colorado School for the Deaf and the Blind University of Colorado." 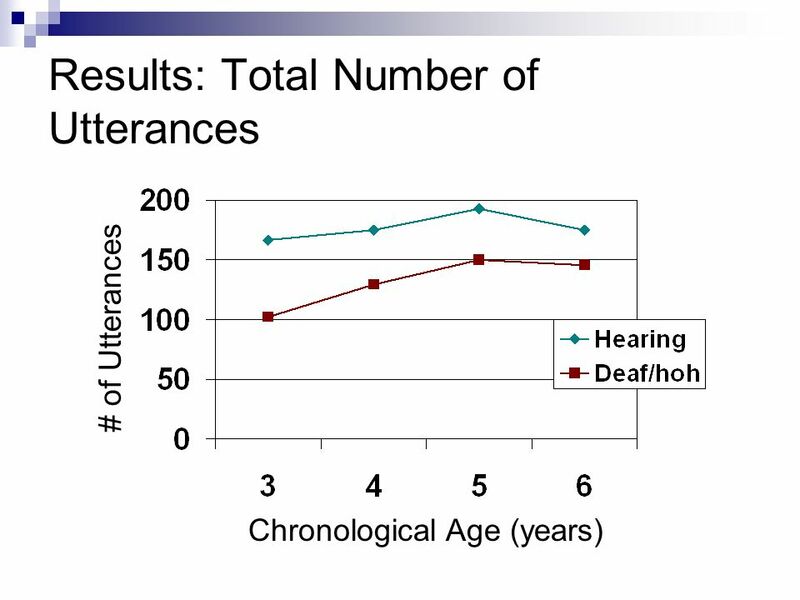 Hearing Sounds and Silences By: Erin Sanders Emily Chandler. 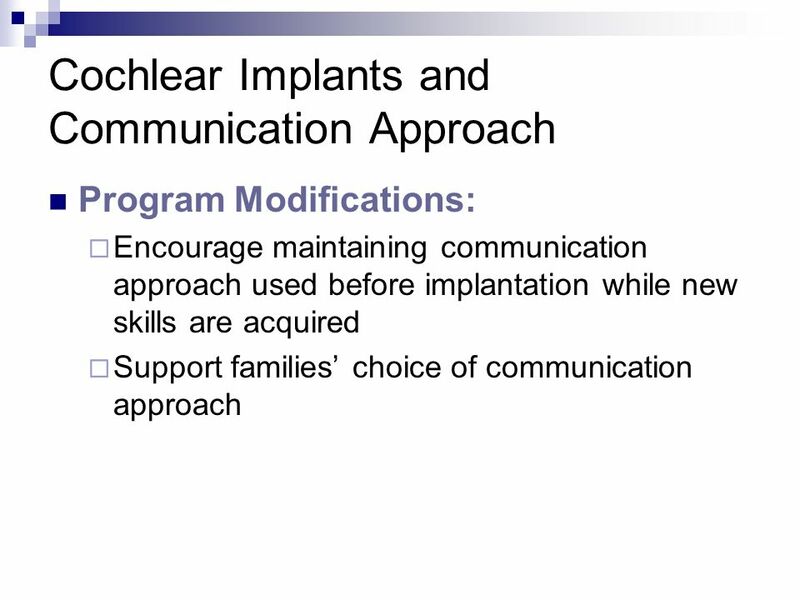 Trainings in Early Intervention with Infants and Toddlers with Hearing Loss Nancy Grosz Sager, M.A. 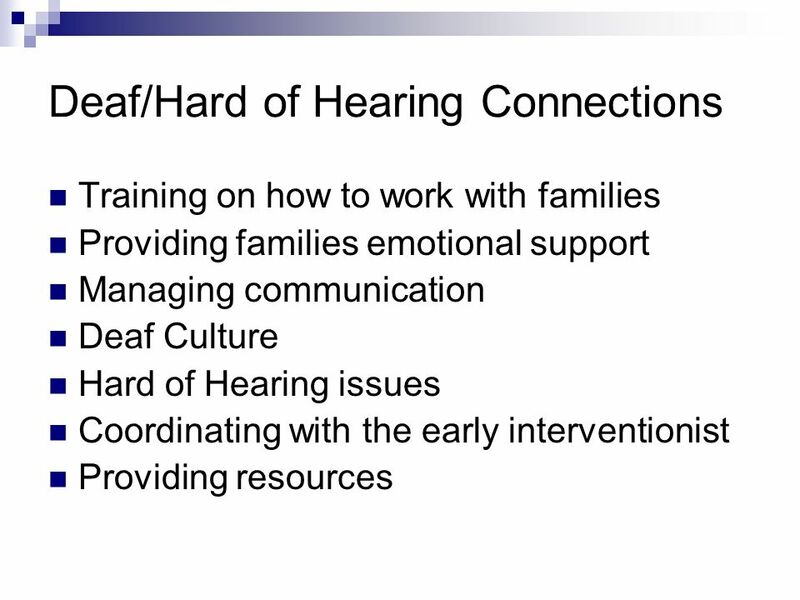 Deaf and Hard of Hearing Programs Consultant California. 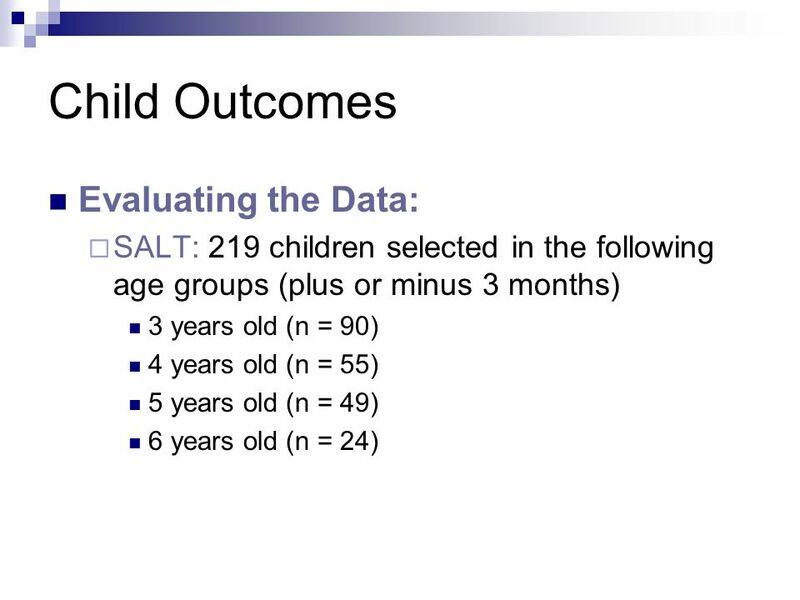 Early Intervention Outcomes Project Allison Sedey, Ph. 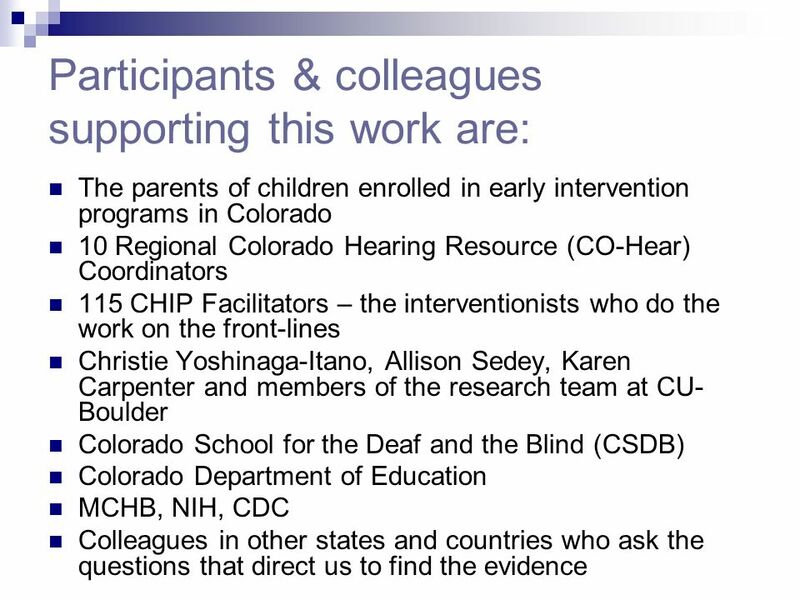 D. University of Colorado, Boulder Kathryn Kreimeyer, Ph. 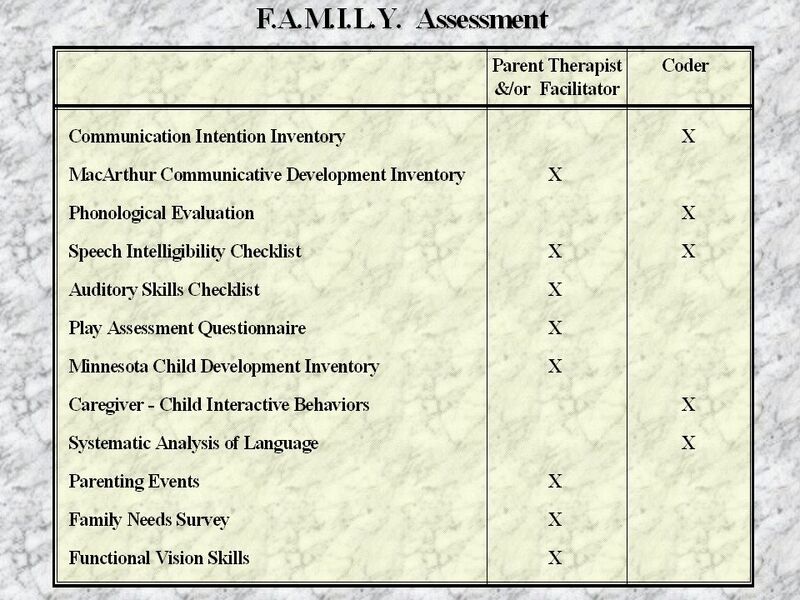 D. University of Arizona, Tucson Arlene. 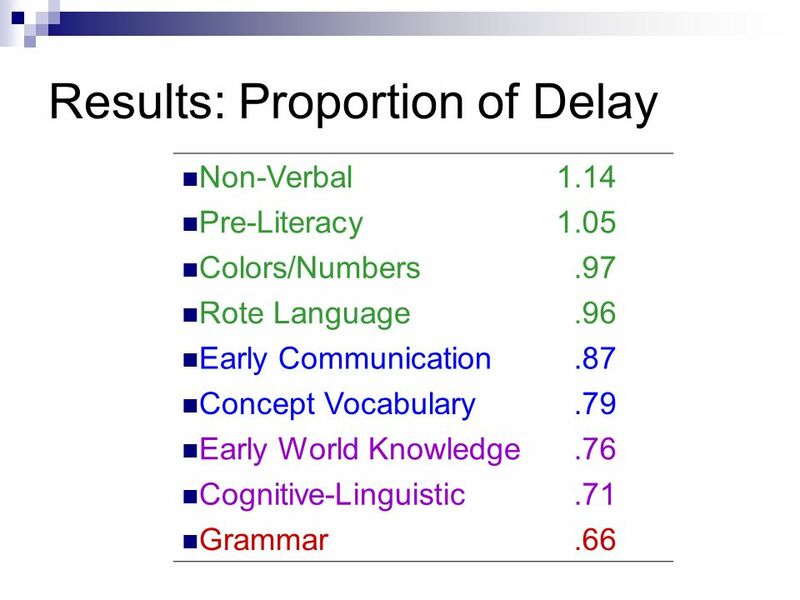 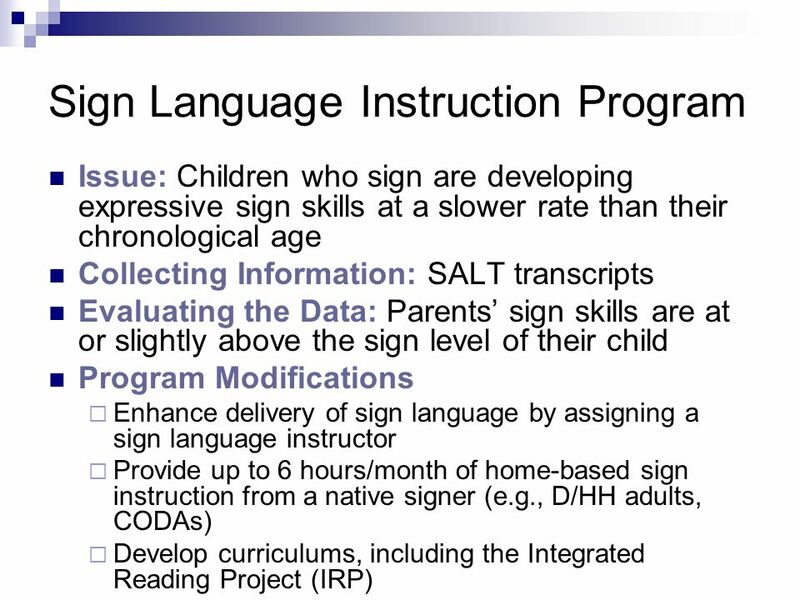 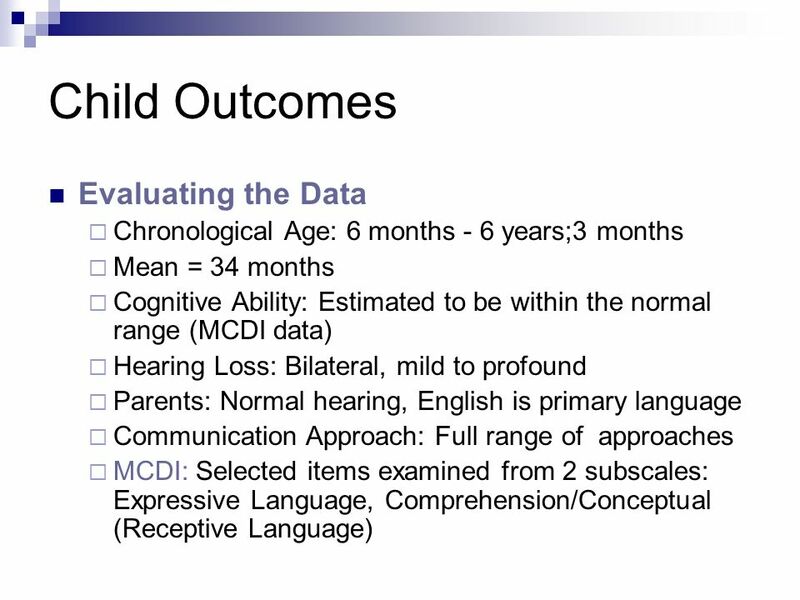 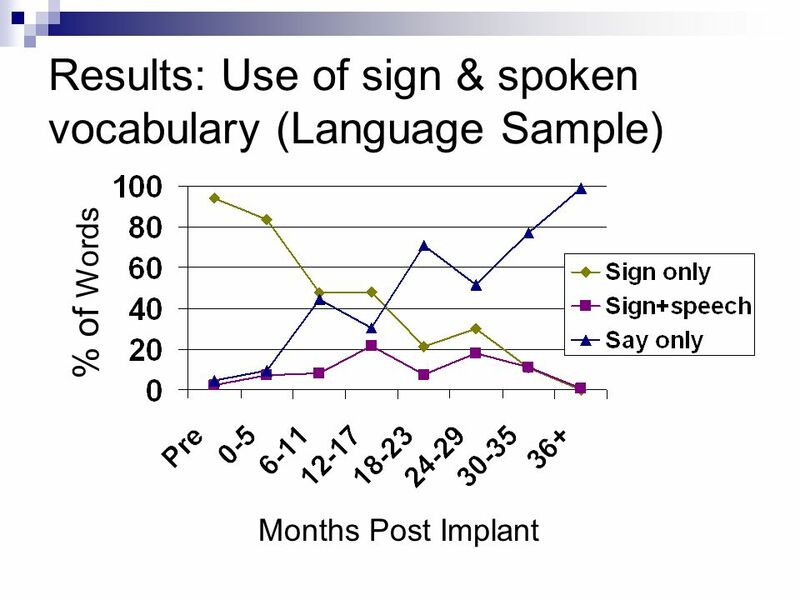 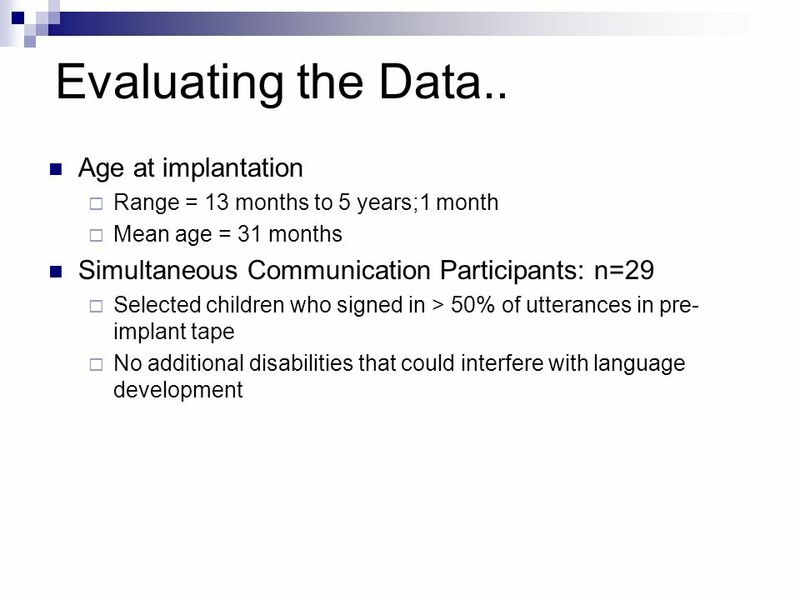 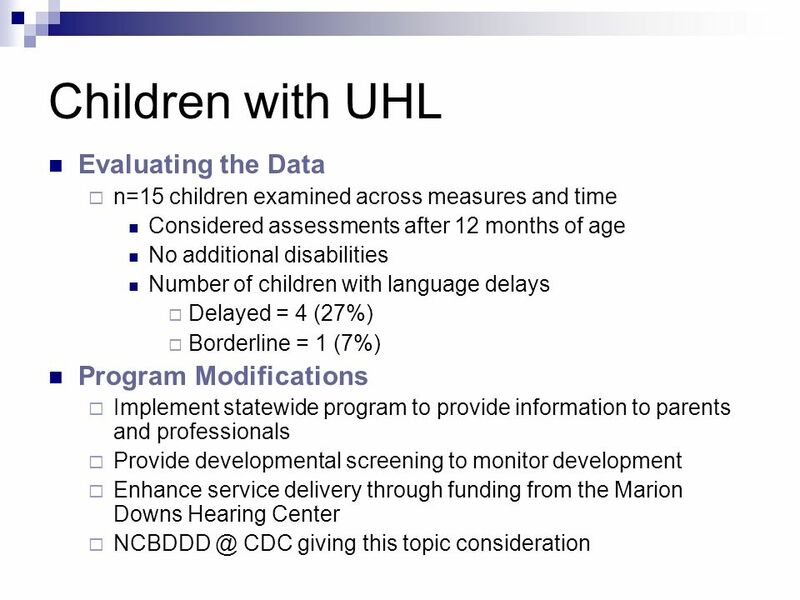 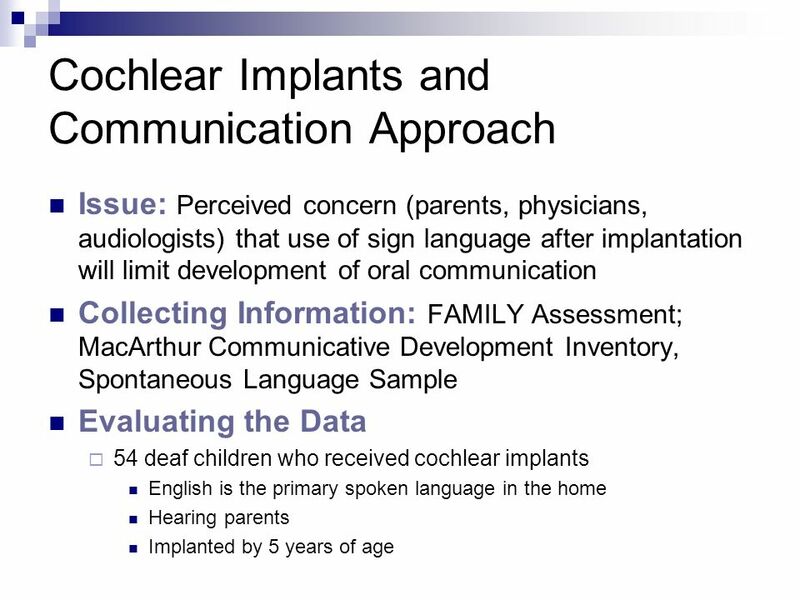 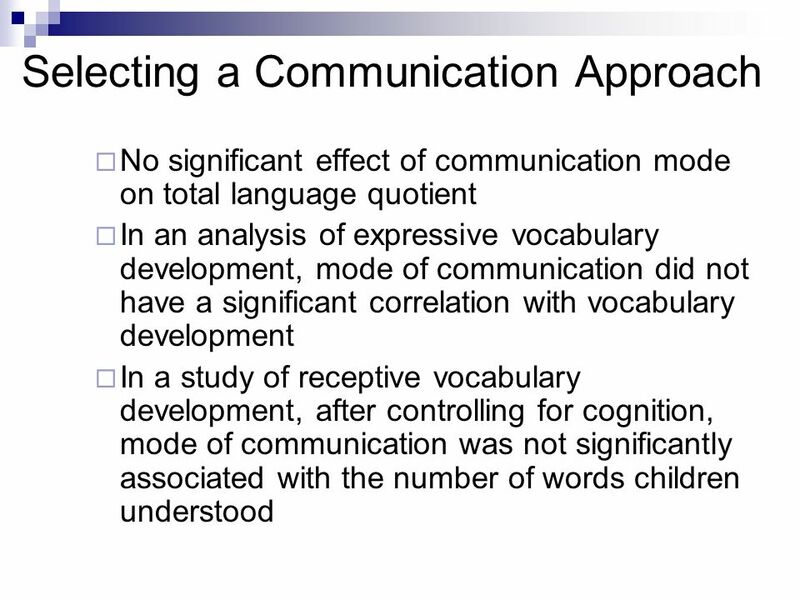 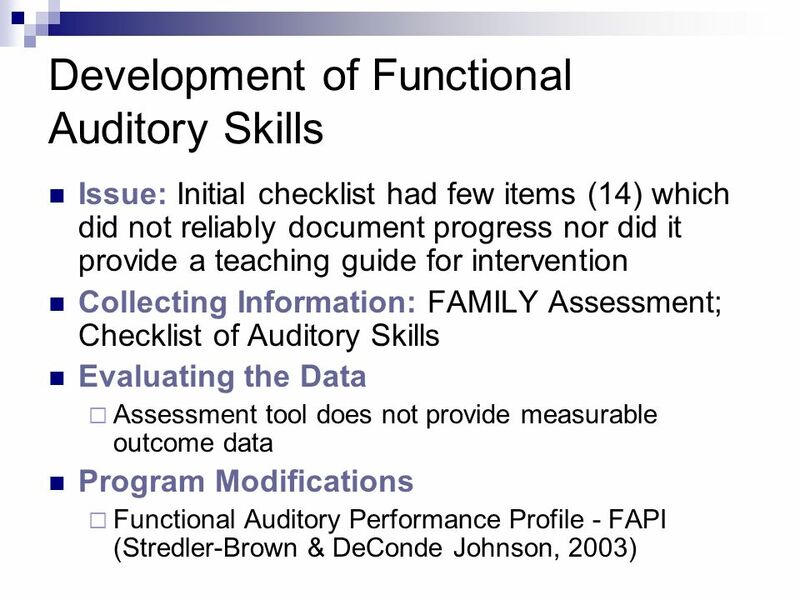 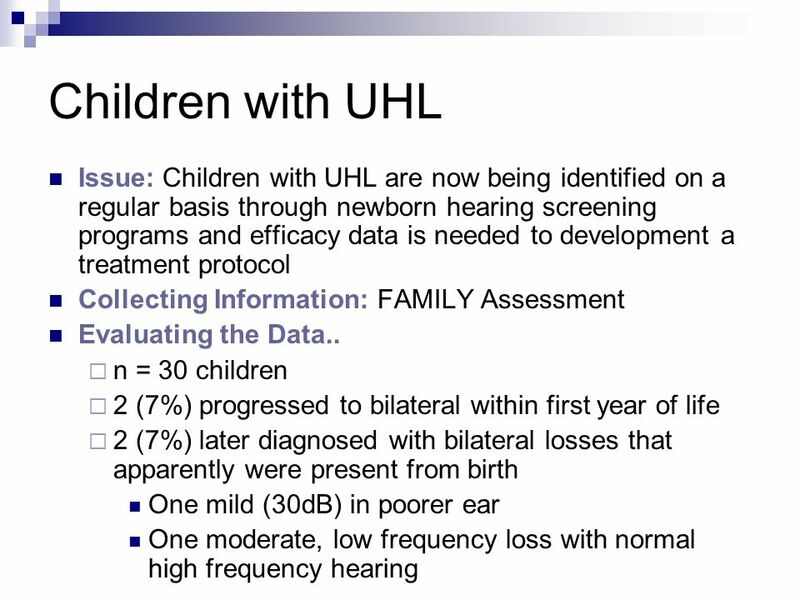 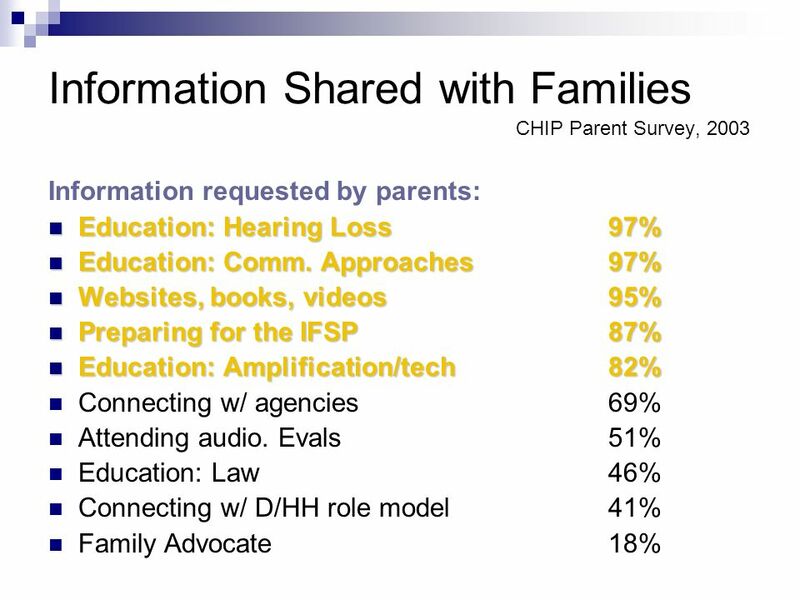 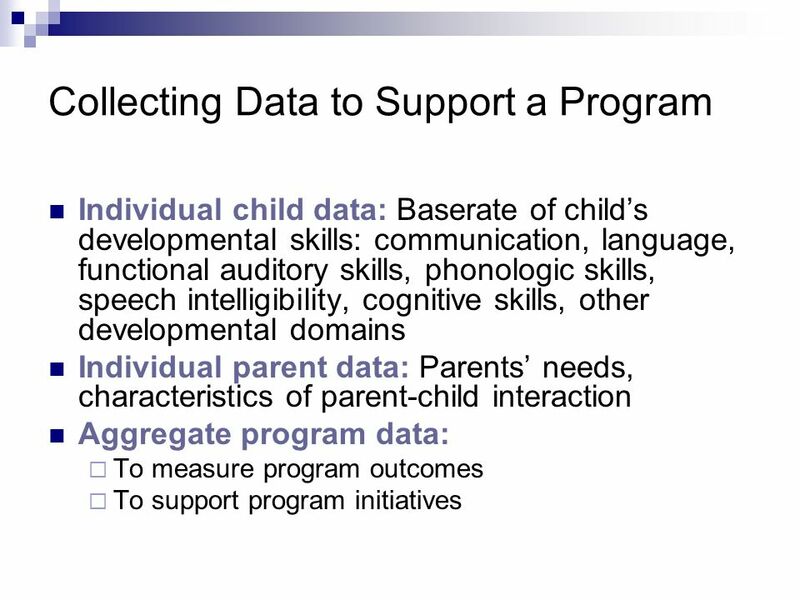 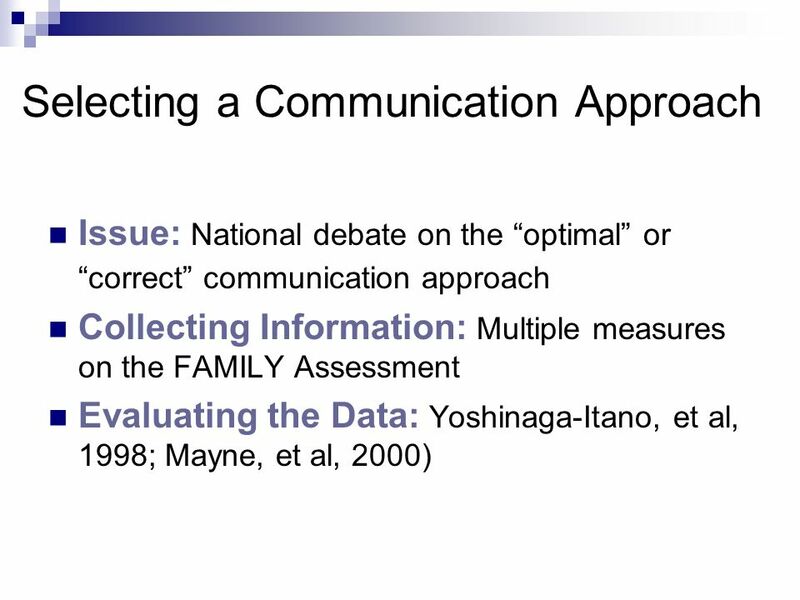 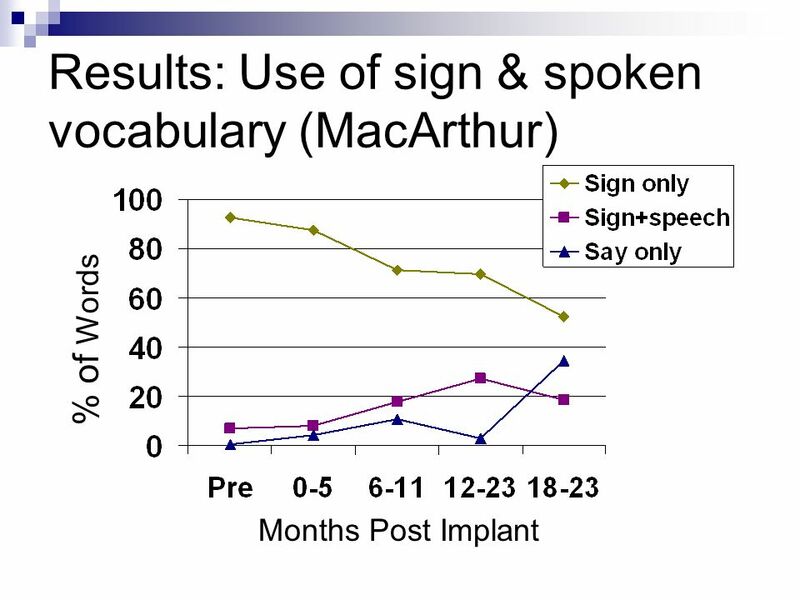 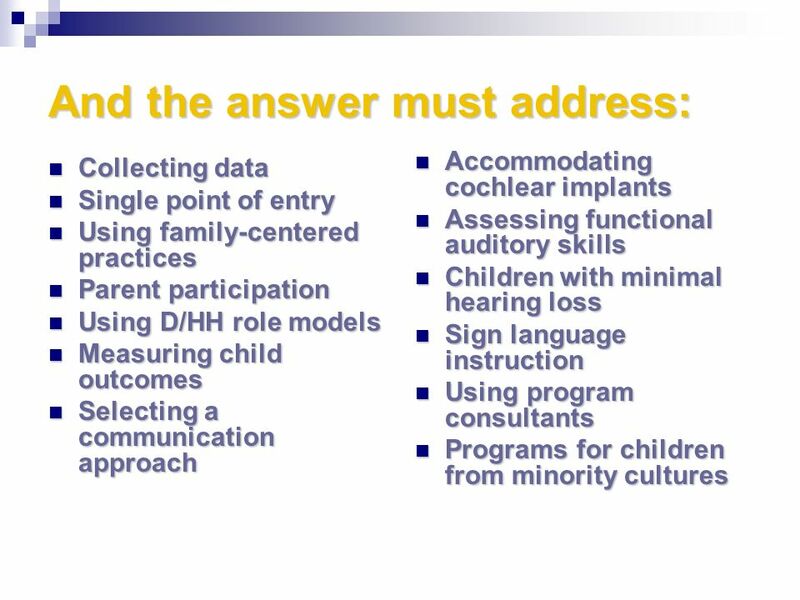 Simplifying Reporting of Communication Development Outcomes for Infants and Toddlers with Hearing Loss Karen Anderson, PhD Florida EHDI Audiology Consultant. 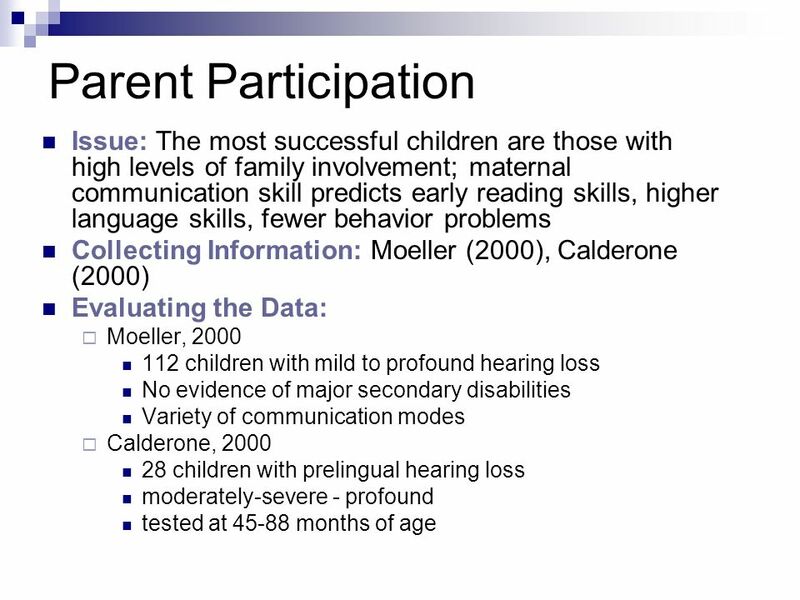 Parent Perspectives on EHDI and Communication Choices Katherine Baldwin 2nd Annual National EHDI Conference February 26, 2003. 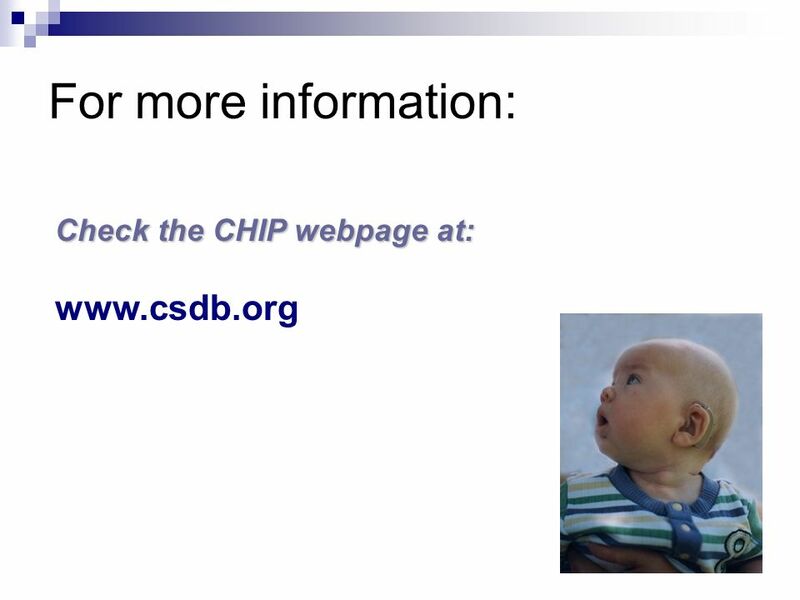 Health Resources and Services Administration Maternal and Child Health Bureau Health Resources and Services Administration Maternal and Child Health Bureau. 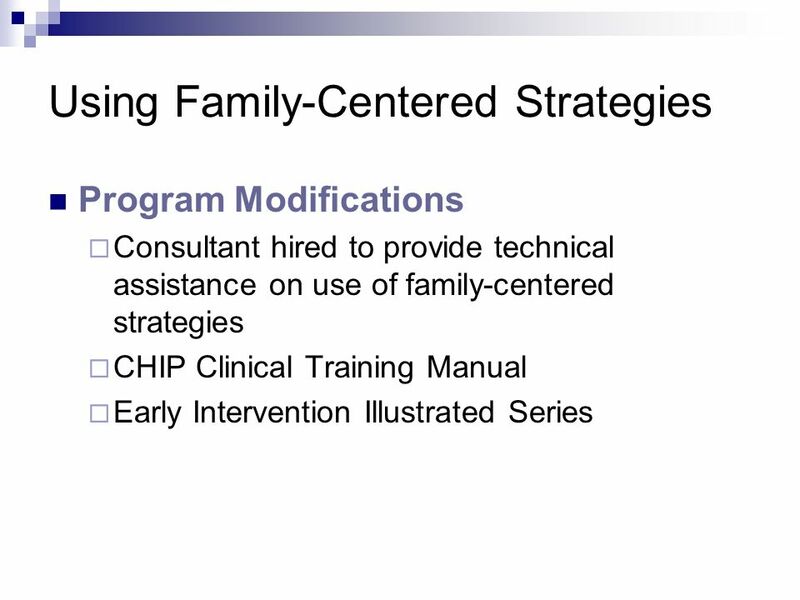 Minnesota: “1-3-6” Early Intervention by 6 Mo. 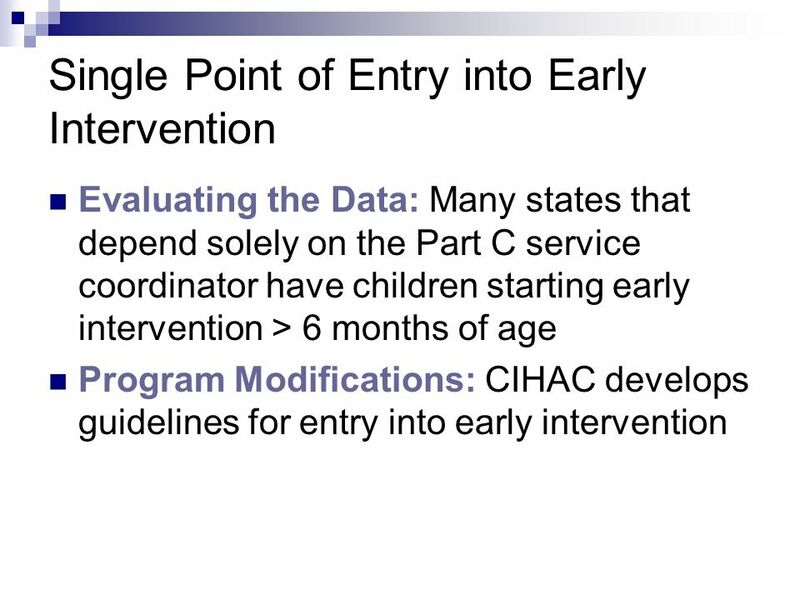 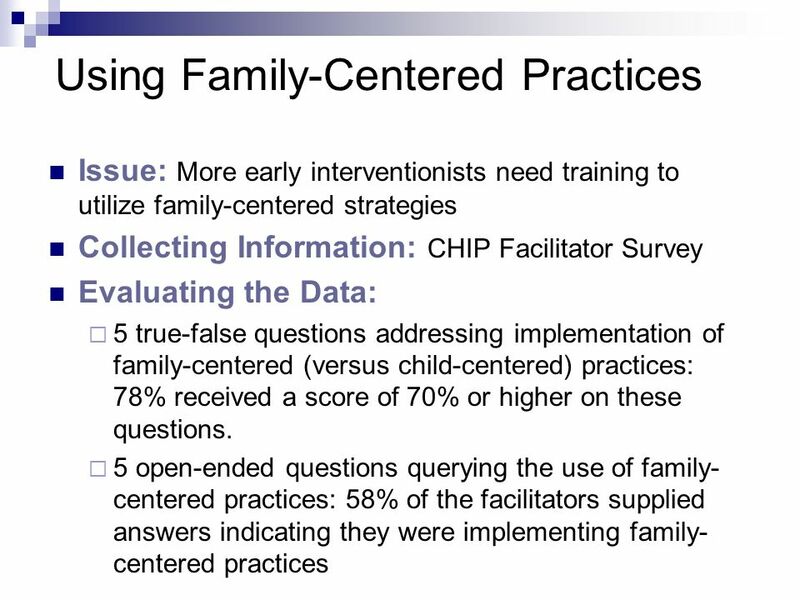 Early Intervention Applications: Connecticut Guidelines Antonia Brancia Maxon, Ph.D., CCC-A 1, 2 Linda Goodman, M.A., M.P.A. 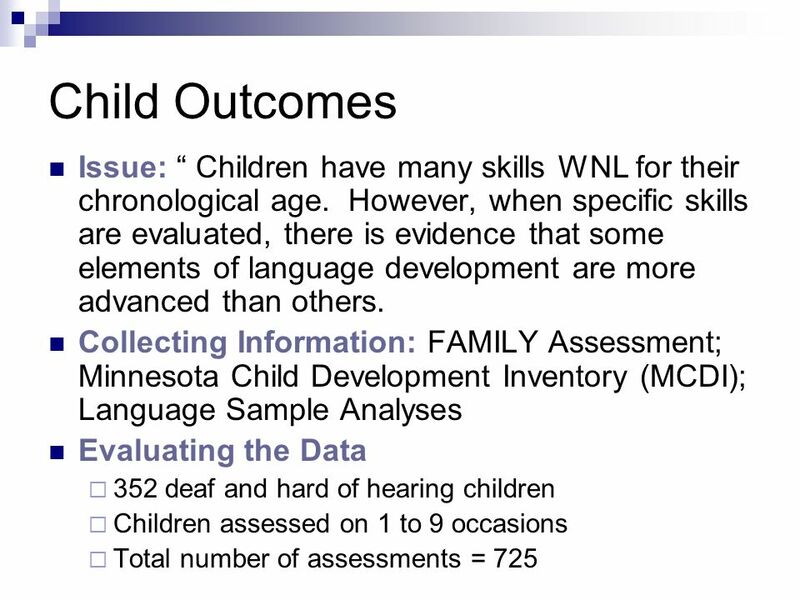 2 Lynn Skene Johnson, M.S. 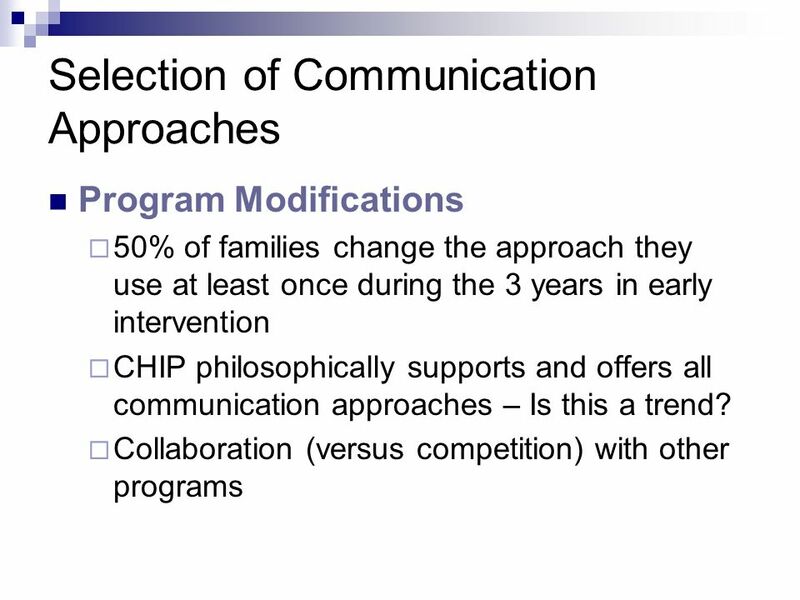 Statewide Coordinated Intervention Carol Busch, M.S. 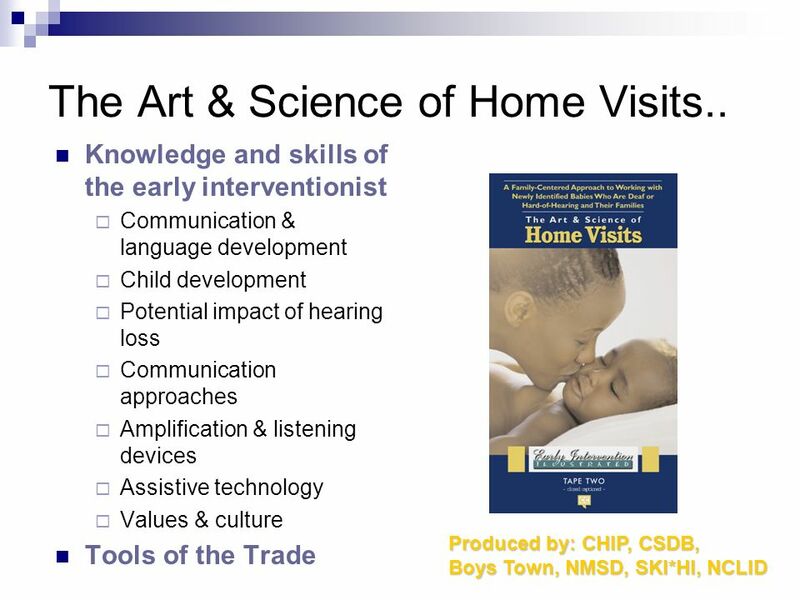 Kansas School for the Deaf Olathe, Kansas Kim M. Sykes, M.A., CCC-A Sound Beginnings, Newborn Hearing. 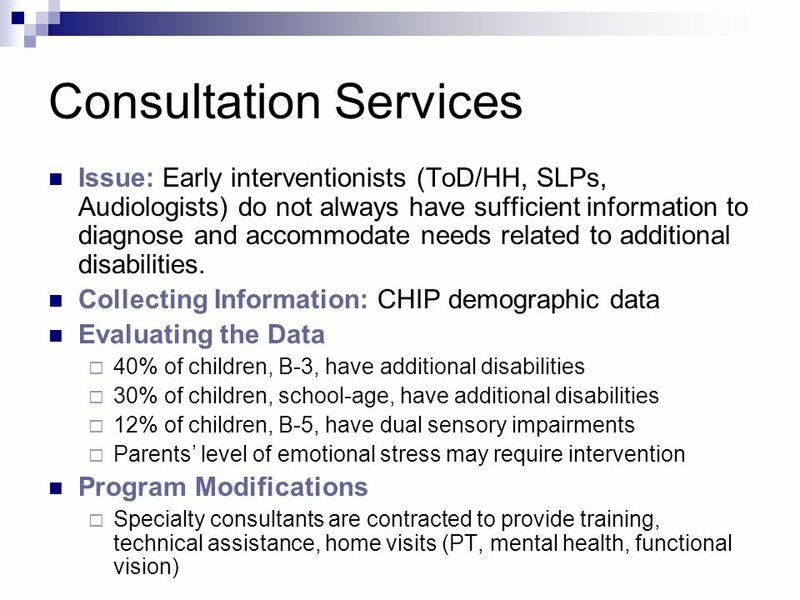 Entering Early Intervention Services: The Pivotal Role of the Service Coordinator Arlene Stredler Brown, CCC-SLP, CED EHDI Conference - Washington, DC. 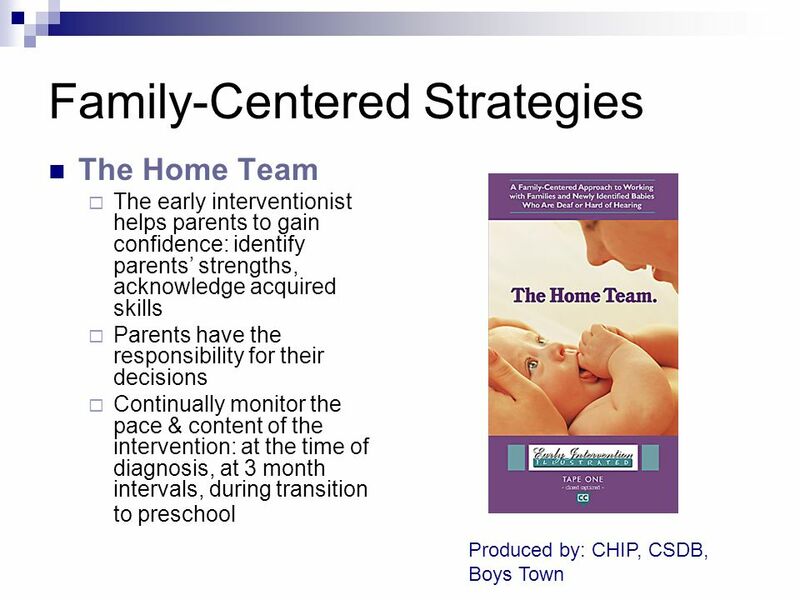 It Takes a Village Whos the Chief? 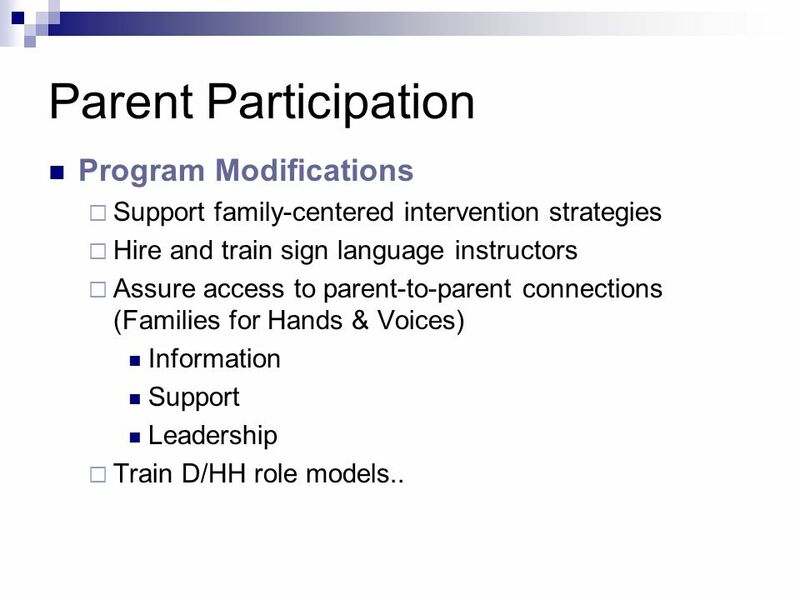 Parent Involvement Janet DesGeorges, Parent Consultant. 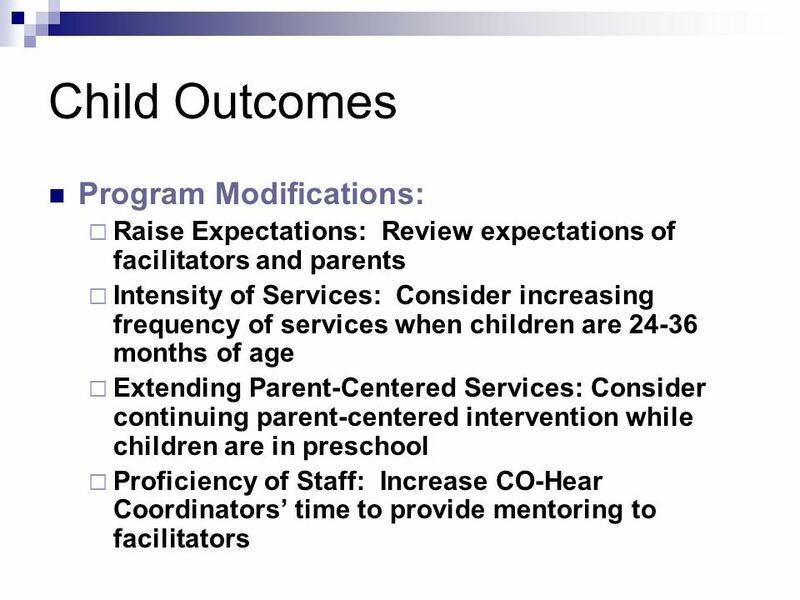 Early Intervention Outcomes Recent Findings and Future Challenges Mary Pat Moeller Boys Town National Research Hospital. 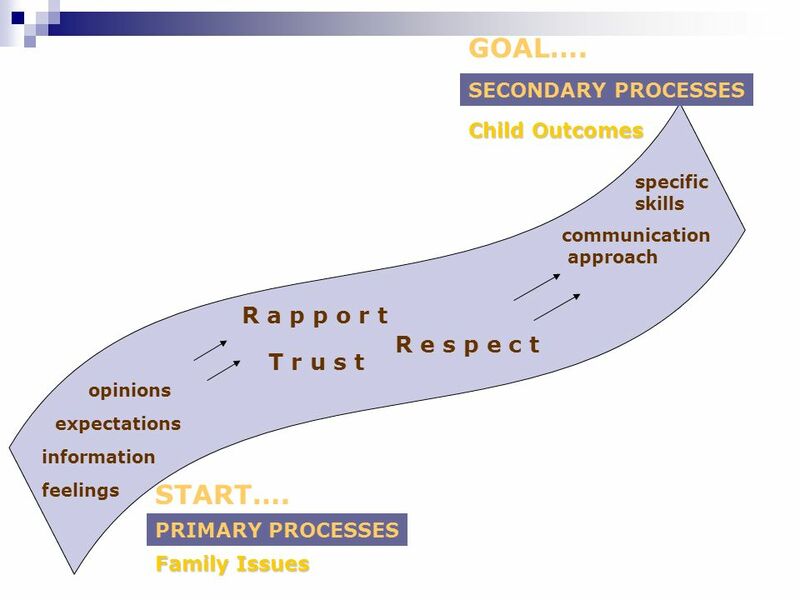 Implementation of the North Carolina Read to Achieve Program May 7, 2013.